Some big news: Axios has signed a deal with HBO to produce a limited docu-news series airing this fall. The series will feature breaking news, interviews with the world’s most influential leaders, and short documentaries on the topics that matter most. Axios will work with HBO and a cast of Emmy®-winning producers to help viewers better understand the collision of politics, technology, business and the world. For years, becoming "connected" has been the zeitgeist — to long-lost family, friends, whole new communities, potential business partners at home and abroad, perhaps a romance. What's not to like? A lot, it has turned out. The big picture: Since 2016, we've learned in drip-drip-drip revelations how our social media giants, especially Facebook, have made us disconnected — divided, discordant, isolated into like-minded silos, and manipulated by hackers working for the Kremlin. 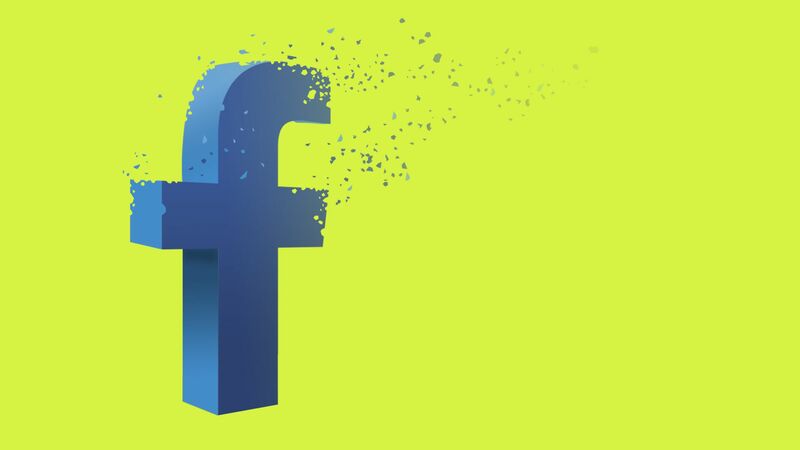 What would the world look like if — tomorrow — Facebook simply ... vanished? I posed this question to experts from a number of fields. All suggested that, given what we continue to learn, something is seriously wrong with the current state of affairs. Yet none cheered the idea of losing Facebook entirely. But it would also mean "value destruction for shareholders, job losses, negative impact on economy. Ceding social media battle globally to China-driven monopolies. A big win for TenCent/WeChat." So is Facebook a net negative? "It’s one of the toughest questions out there. I don’t see a good answer," Bremmer said. Scott Galloway, a NYU professor and author of The Four, a critique of U.S. big tech, called for Facebook's breakup — not disappearance — under anti-trust laws. Similarly, Nicholas Wright, a British neurologist who studies artificial intelligence and politics, said that a government shutdown of the platform "would be a terrible blow to the U.S. capitalist system. How could anyone trust the Government not to shut down other companies and lay off tens of thousands of workers etc.?" But both Galloway and Wright found plenty to like about the absence of Facebook, too. Since chief Paul Volcker in the late 1970s and 1980s, the Fed has maintained the same mental framework — keep interest rates down when the economy is slowing, and raise them when it starts to grow fast. Driving the news: Now, with roaring GDP growth and rising wages, the Fed has signaled that it will increase interests rates next month to tap the brakes and ward off the possibility of uncontrolled inflation. But some economists suggest that the Fed may be locked in a dated model of the economy, and need to reconsider precepts originating in Volcker-era stagflation. Given a decade-long period of almost flat real wages, some say, the Fed should consider lightening up and letting wages rise more than it ordinarily would. Look at the chart above, to see what they're talking about: For the last five decades, real U.S. household income for the bottom four quintiles has been flat or almost flat. The top group, however, has had sharply ascending real income growth. David Autor, an influential economist at MIT, tells Axios that the Fed "should go slowly on closing the locks because wages are barely rising at this point." "There's further room for the tides to rise so that all boats will be lifted (including but not limited to the vessel of middle-wage earners, though an even greater concern is for low-wage earners)," Autor adds. Benn Steil, an economist with the Council on Foreign Relations, is among experts who aren't convinced of the Fed's power to impact wages even if it wants to. But, for the mainstream majority that assumes the Fed directly influences both wages and prices, there is much support for the bank's current policy track — which. many believe, leaves room for wages to rise. But Joe Brusuelas, chief economist at consulting firm RSM, tells Axios that while he expects real-wage growth despite rate hikes, "The Fed should consider dropping the Carter-era discourse and policy rules of thumb." But in the early to mid 1970s, the lines diverged (chart above) — economic production kept rising, but wages not so much, including long periods of going flat. But there's also an unexplained factor — economists don't know why wages are stuck despite an ultra-tight 3.9% jobless rate and the slow but continued rise of productivity. Go deeper: Bernstein's Aug. 3 blog post on the wages and productivity puzzle. The University of Michigan is backing new technology that captures carbon dioxide emissions from the air, and turns them into beer, lipstick and concrete. Axios' Amy Harder writes: The technology is too expensive at the moment to commercialize, but if the cost can be brought down, it could be profitable to capture CO2, the emissions contributing to climate change. The aim of the $4.5 million Global CO2 Initiative is to cut 10% of the world’s current annual carbon emissions by 2030. One level deeper: Until now, the focus of such efforts has been on simply storing carbon dioxide. Now, the idea is to both capture and transform CO2 into a commodity for everyday products. Carbon fiber, a lightweight replacement for aluminum and steel in cars. Petrochemicals for cosmetics, plastics and other products. Cement and other building materials, which alone could be game changers given how much is used around the world. Beer and other carbonated drinks. You may recall when the U.K. was running out of beer because it didn’t have enough CO2 during this year’s World Cup. It turns out that the Indian fare you've come to love — curry, tandoori chicken, chicken tikka masala — often isn't in fact very Indian after all, Axios' Marisa Fernandez writes. Instead, they and many other "Indian" dishes, served at restaurants in the U.S. and around the world, are more British and Portuguese — either modified to suit foreign palates and stomachs, or invented entirely from whole cloth. The big picture: Indians are going back to their roots, re-introducing centuries-old ingredients and recipes, and showing that foods aren’t as static as people think. "Curry isn’t even an Indian word. There aren’t many curries in India," says historian Lizzie Collingham, author of Curry: A Tale of Cooks and Conquerors. Instead, the British — who arrived in the 16th century — began to call dishes served over rice "curry," and insisted on the addition of more coriander and ginger to suit their tastes. The bottom line: Tandoori chicken, butter chicken and tandoori roti — staples of Indian restaurants — are also not originally Indian, but creations of the British under their rule, Colleen Sen, author of Feasts and Fasts: A History of Food in India, tells Axios. “The British had their own idea of what Indian food was," says Floyd Cordoz, an Indian chef and restaurateur in New York City. What's new: In a growing trend, people in India are returning to more purist cuisine — using millets, vegetables and spices that had disappeared from kitchen tables. Plus, India's middle class is seeing huge growth in social mobility, with large numbers going out to eat more. For the first time, Indians are out eating authentic Indian cuisines, with the original spices and ingredients, Sen says. "There's a proliferation of regional Indian restaurants. Not a western version — its own authentic cuisine. It's quite a dramatic change," she says. Read more of Marisa's post.